Let’s face it, even adults tire quickly of the standard brown bag lunch. There are only so many times you can eat a ham sandwich or tired peanut butter and jelly. If you ask your child what they want, you might end up sending them with chips and candy. How do you find lunches that are easy to prepare, healthy, and that your kids will actually eat? *An important health reminder. When using meats or dairy products, make sure you include an ice pack to keep them cold. You can even freeze a juice carton to use and by lunch time it should be thawed out. Pasta Salad – Pasta comes in a number of fun shapes. You can find interestingly themed pasta such as Mickey Mouse pasta, zoo pasta, princess pasta, and holiday pasta online and in specialty stores. Add some protein like diced cooked chicken or tuna to the salad, and chopped vegetables like carrots and celery. Dress the salad with vinaigrette or a creamier dressing and send your child off to school with a well-balanced lunch. Rethink the Bread – Sometimes a child simply needs a small change to make the meal interesting again. Try flatbread, wraps, crackers, croissants, English muffins, and even bagels for sandwiches. Make-Your-Own Meal-Bars – You can create a meal for your child in bar form. For example, you can steam a few cups of rice, and add diced ham, cheese, and vegetables to the rice. Press into a baking dish and refrigerate. Cut into squares, wrap, and you have a meal that your child will love. Dips – Children don’t always have time to eat a large lunch and would rather be socializing than eating. Try sending them to school with a dip and something yummy to go with it. 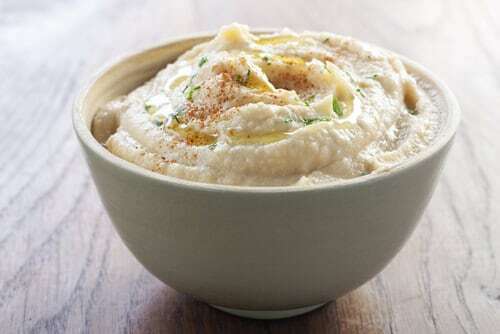 For example, hummus, some pita bread, and some carrots and celery are a good option. You can also send them with a white bean dip and some whole grain crackers and a handful of cherry tomatoes. It’s compact, it’s healthy, and it’s easy to make. 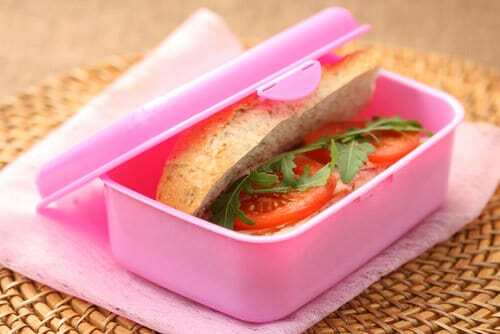 Get your children involved in the planning and preparation of their lunches. If they have a say not only in what they eat, but are also involved in the making of their lunches, they’re more likely to eat them. It’s also a nice way to spend some quality time together. Pay attention to what they like and what they don’t eat. Ask your child to bring home whatever they don’t eat. Discourage trading lunches with friends. You can then get a good idea about their preferences. Keep in mind that when you ask your child what they want in their lunch you’re likely going to get requests for chips, cookies, and other items that you’d rather they not have. Find healthy alternatives and give them choices. For example, if they want chips you might talk about making chips at home or find a few options at the store that are healthier (baked chips with low sodium and no sugar, for example), Let them choose from your suggestions. Your children won’t always eat their lunch. However, with a little teamwork and some creativity, you can take steps to make sure you’re providing them with foods that they enjoy and are good for them.